#1 -What are you most proud of? This question made me realize I have some pride issues going on (so thank you for the accountability! God used you to convict me and help me lay down things that I’ve been prideful in!) What I kept coming back to, though, was “the journey God has me on.” – Which I feel like is a super weird thing to be proud of because it is nothing I’m in control of nor have I done anything to deserve it. But, I love it and I’m honored to know Him. #2 – Describe yourself in one word. 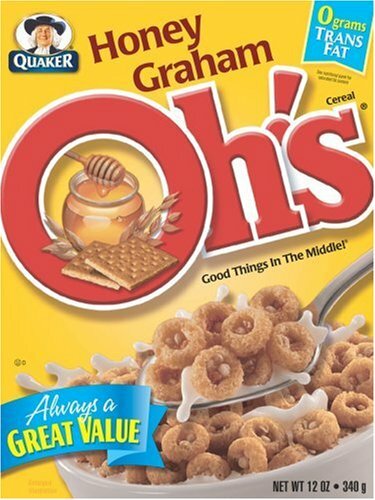 #3 – If you were a cereal, what cereal would you be and why? Oh’s!!! I’m gonna be real with you – I chose this cereal because it’s my favorite and my best friend and I were crazy about it in high school. #GoodMemories But, I also realized the tag line is “Good things in the middle!” As God has peeled back the layers and revealed to me my sin, I’ve also gotten to experience His amazing grace. He’s created in me a new heart and as I walk closely to Him – He’s showing me that He can create good things in me and through me. Cheesy answer – I know, but it’s true. Also, the product description says, “One of the best tasting and most addictive cereals ever created.” So true! This could also relate back to me because I have a highly addictive personality- meaning if I like something – I go all out! Whether it’s music, movies, sports, a TV show – I can easily be consumed by things I enjoy. This can be dangerous, so I gotta make sure Jesus is always my solid foundation and my middle. #4 What’s the biggest help to you in prayer? Hm… Prayer has certainly been something I’ve struggled with. This is mostly connected to the fact that I’m a “doer.” I love to do all kinds of things for God – as long as it involves being active. It is much more difficult for me to sit quietly and listen to Jesus or ask His opinion. However, I will say that in the last year praying has become much easier for me and something I truly enjoy. I’ve learned about God’s character and have become immersed in His letter to us, which is why I think praying has become more natural. I really do want to know what God thinks because I am convinced He is wiser than I am, He has a better plan, and my life is His. Understanding who I am and who God is has been one of the biggest helps to me. Also, I continue to want to yell at the top of my lungs, “Read the Word!” (Not out of anger, but like out of “yes! this is it! we have a way to know God’s thoughts!”) I feel like if you’re a Christian it’s implied that you do, but I know for the first 6-7 years of my relationship with God reading the Bible was not something I did daily or consistently. It has to be! Not for legalistic purposes, but simply for health purposes. You don’t eat once in a while or when you happen to have time, do you? No way, you make time! In the same way, we must make it a priority to communicate daily and throughout the day with Jesus. And if you’re struggling with prayer, definitely talk to a trusted Christian friend and ask them to pray for you/with you. Sorry, went on a rant on that last one, but I so want Christians to know the depth of God’s love and the freedom that comes from living not in our own power- but on the reliance on the Holy Spirit. Love you all! P.S. Keep the questions coming by emailing me at katiesjournal@yahoo.com! ← Correction :: Does anyone know God’s love?